Pipelines of both prospects and clients can sit inside Affinity. With a simple and collaborative UI, Affinity allows you to harness the power of a centralized system with all of your data in one place. 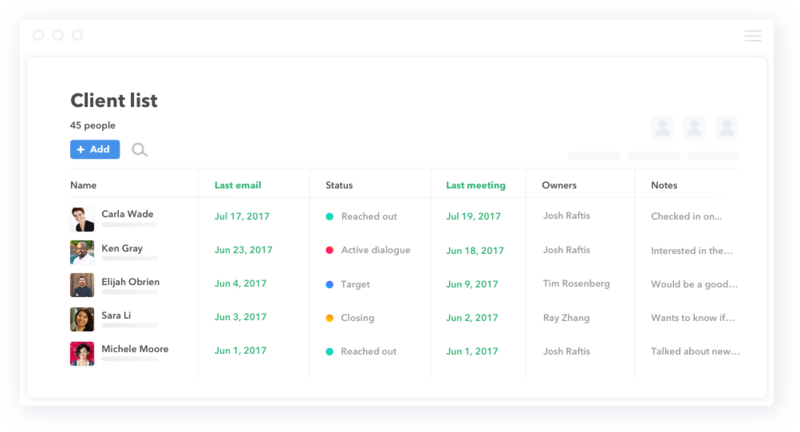 Affinity is your team’s dynamic relationship rolodex. 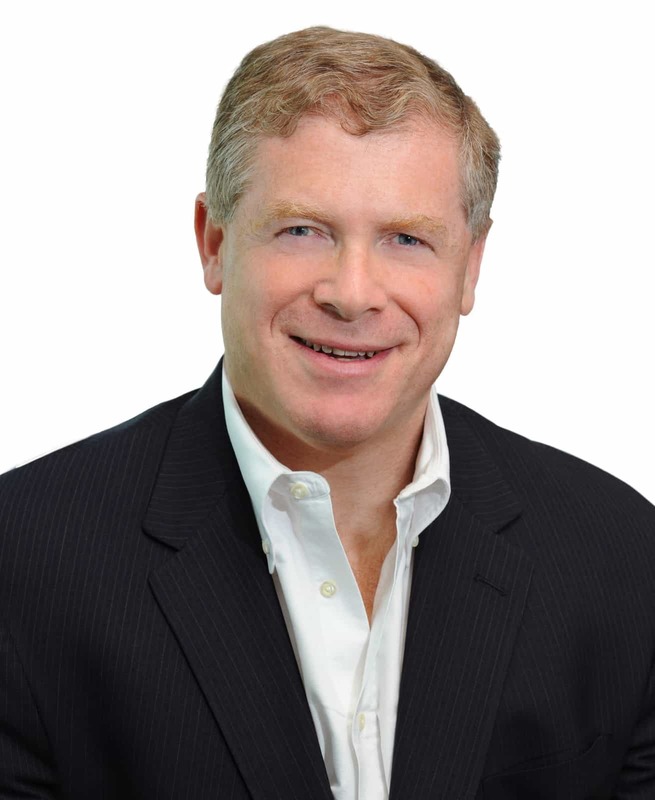 Discover if someone on your team has reached out to a prospect before. Instantly find out which landlords your team has talked to in the last year. Set rules to automatically prompt you to reach out to a client if the relationship is at risk. Affinity allows you to view the complete history of any of client interactions without lifting a finger. Automatically track who you’ve talked to, what files you’ve exchanged, and who's providing you introductions. 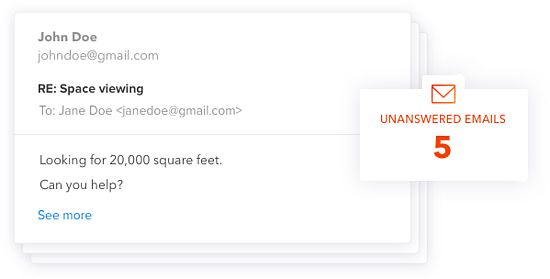 Affinity automatically detects emails that require a response so you never drop the ball on anything important. We also identify emails you’ve sent that should have received a response to so nothing important gets lost. Affinity Alliances™ allow you to connect with customers, colleagues, and friends to gain instant visibility into everyone they can introduce you to. 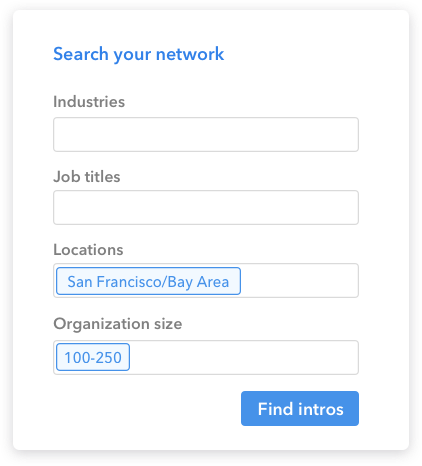 Leverage your real-time network to find strong connection paths that lead you to close your next client. 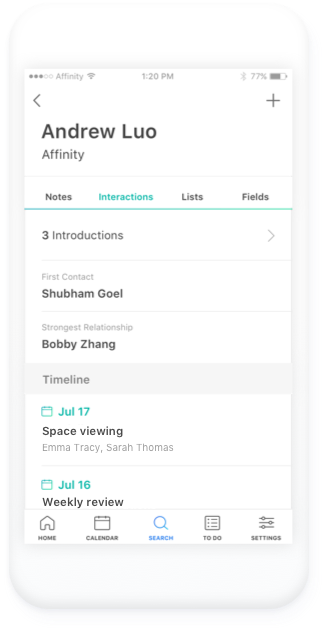 Be it a networking event, client visit, or showing of a listing, Affinity allows you to access all your relationship data wherever you work. Add notes, set reminders, change statuses, upload contact information, all from Affinity’s mobile applications.